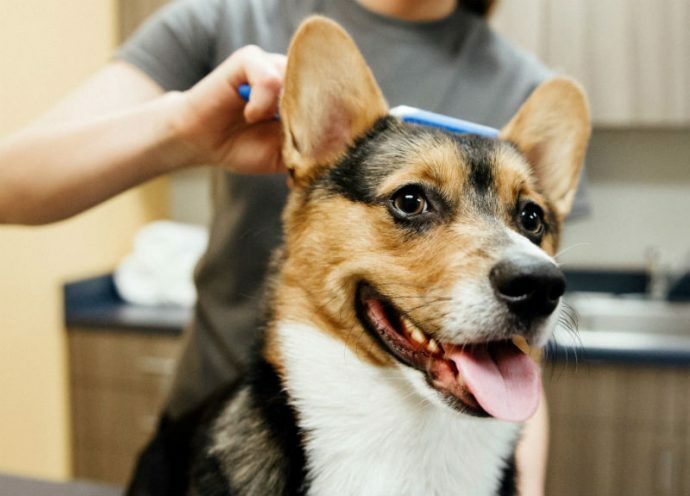 Dogtopia of Carriage Crossing’s fully equipped spa will have your dog looking and feeling clean and fresh. 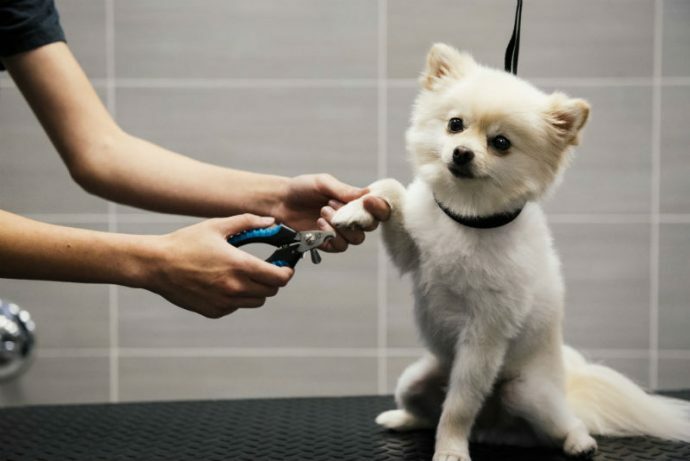 We have a trained spa team that can easily manage dogs of different sizes and breeds, and will keep them relaxed and comfortable as we pamper them with our spa treatments. We only use high quality, pet-safe products in our spa, which have been specially designed to be gentle on your dog’s skin and coat. We have a variety of shampoo and conditioner options available. Pet parents can use our luxurious dog spa facilities themselves, if they prefer. Several of our customers make DIY dog baths a fun family event. We have custom-made tubs that can fit dogs of all sizes, and a variety of drying tools in case your pup is afraid of loud noises. All the supplies that you need to clean your dog are available in our spa, so you don’t have to worry about bringing any supplies with you. 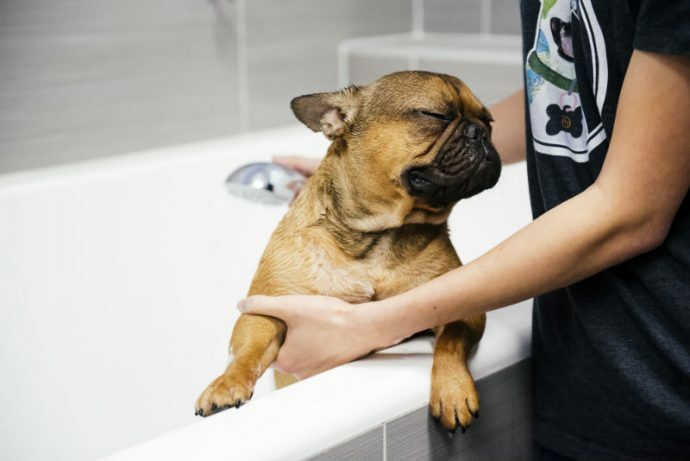 Our team will even take care of the post-bath clean up, so you can focus on your fresh-smelling pup! 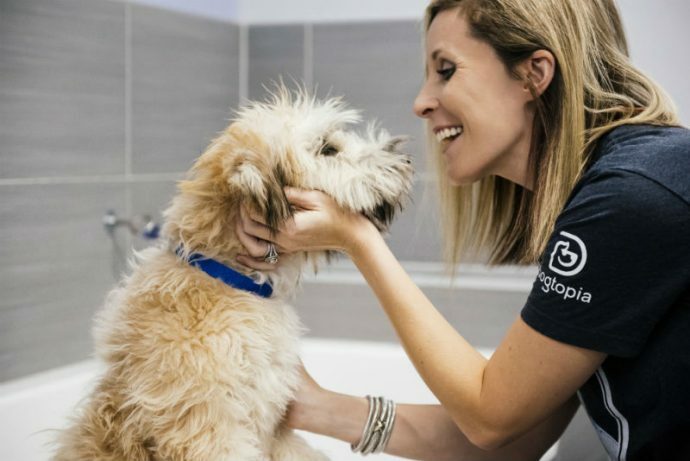 Learn more about the spa treatments and packages we offer and book your pup’s next appointment by filling out our contact form.